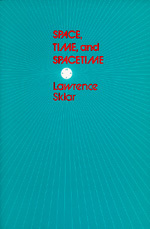 In this book, Lawrence Sklar demonstrates the interdependence of science and philosophy by examining a number of crucial problems on the nature of space and time—problems that require for their resolution the resources of philosophy and of physics. The overall issues explored are our knowledge of the geometry of the world, the existence of spacetime as an entity over and above the material objects of the world, the relation between temporal order and causal order, and the problem of the direction of time. Without neglecting the most subtle philosophical points or the most advanced contributions of contemporary physics, the author has taken pains to make his explorations intelligible to the reader with no advanced training in physics, mathematics, or philosophy. The arguments are set forth step-by-step, beginning from first principles; and the philosophical discussions are supplemented in detail by nontechnical expositions of crucial features of physical theories. Lawrence Sklar is the Carl G. Hempel and William K. Frankena Distinguished University Professor at the University of Michigan.